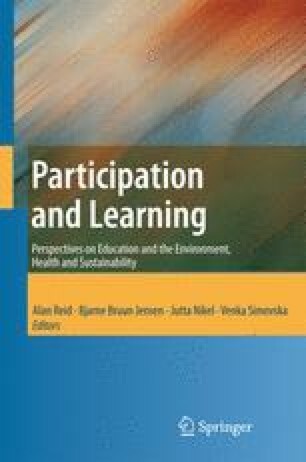 This chapter takes up two questions essential to participatory environmental education: What experiences prepare children to be aware of their environment and to take action on its behalf? And, how can communities support children’s environmental learning and action? I suggest answers to these questions based on an ecological approach to psychology and show how research on the significant life experiences of people committed to environmental education and action can be understood within this framework. I also argue that environmental education can most productively encourage children to know, value, and protect the diversity of life on this planet if it builds on a theoretical foundation that embeds human development in an ecological context.